How to Become a Court Reporter in Indiana? How Long Does It Take to Become a Court Reporter in Indiana? A court reporter’s responsibilities may be overlooked but the truth of the matter is that no judicial system can efficiently function without them. Court reporters produce a printed transcription of the proceedings that is accurate, organized and produced in the shortest period of time. 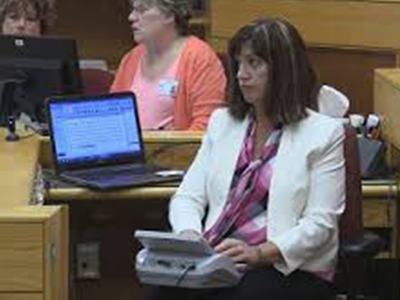 To perform their duties, court reporters use a variety of equipment, which in the state of Indiana, is not uniform. Court reporters working in Indiana also do not possess same educational and training credentials. While their training and experience may vary, they nonetheless, are committed to the excellence of the profession by creating a true and accurate record of the court proceedings. For post high school educational credentials consider enrolling yourself in a certificate, diploma or associate degree program in your local community college or technical institute. However, before enrollment, make sure that the program is approved by the National Court Reporters Association (NCRA). One of the best ways of finding a court reporter’s job in Indiana is to join a professional body. Consider joining the Indiana Court Reporters Association (INCRA) and the Indiana Shorthand Reporters Association (ISRA). According to May 2017 statistics from the US Bureau of Labor Statistics (BLS), court reporters earned the annual mean salary of $37,820. What you will actually end up earning depends heavily on your expertise, years of experience and location. Also, if you work more, you are likely to earn more too. This field is not as stringently regulated in Indiana as it is in other states. Therefore, there is no specific time under which you will become a court reporter in the state. A lot will depend on how quickly you find a court reporter’s position and fulfill your employment requirements and qualifications. According to May 2017 statistics from the US Bureau of Labor Statistics (BLS), there were 730 court reporters in the state. The same source predicts a 3 percent national job growth in this field from 2016 to 2026. So, while there will not be an abundance of court reporters’ jobs in the coming years, job vacancies will come up steadily. And since competition will be stiff, make sure you qualify for more than minimum requirements to stand out as the best applicant for the job.